The Bharatiya Janata Party (BJP) will release its manifesto for upcoming Lok Sabha Elections 2019 on Monday at party headquarters in New Delhi. The development comes just three days ahead of first phase polling on April 11. 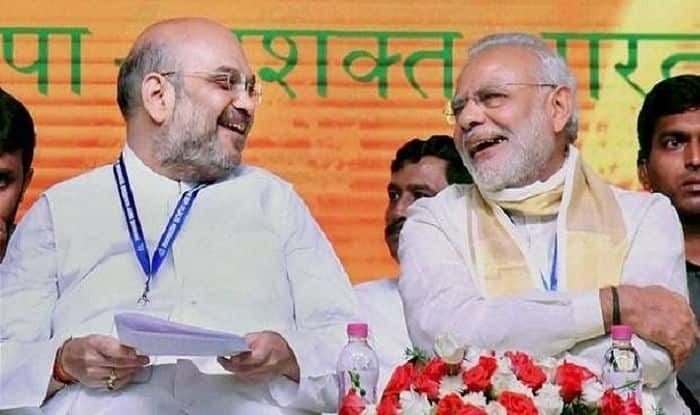 New Delhi: The Bharatiya Janata Party (BJP) is likely to release its manifesto for upcoming Lok Sabha Elections 2019 on Monday, April 8 at party headquarters in the national capital, just three days ahead of first phase polling on April 11. The ‘Sankalp Patra’ will be launched in the presence of Prime Minister Narendra Modi and party president Amit Shah, reports said. As per top BJP sources, quoted by Zee News, the manifesto will lay notable focus on the construction of Ram temple in Ayodhya district of Uttar Pradesh if the Narendra Modi-led party comes to power in the ensuing 2019 polls. Furthermore, the party is focusing on over 26 developmental arenas this election season, along with the construction of an Ayodhya-Kashi-Mathura corridor plan in the state of Uttar Pradesh. Continuing with its ‘tough stance’ on terrorism, the BJP’s ‘Sankalp Patra’ is also likely to include ‘zero-tolerance’ policy on terrorism. Further, details accessed by Zee News reveal that the party will be giving the slogan of ‘Strong India, Capable India’ with prime focus on ‘development, nationalism and Hindutva’. “The manifesto which has been named as ‘Shapath Patra’ will not just include the promises but also the works done by the Prime Minister Narendra Modi-led NDA government. The logic behind it is that the government has done a lot of work like Mudra, Ujjawala which was not even promised in 2014,” party sources reportedly told Zee News. Notably, the party had formed a 20-member manifesto committee, headed by senior party leader and Union Home Minister Rajnath Singh, including Union Finance Minister Arun Jaitley among others. The sub-committees set up by the BJP to provide inputs for the manifesto have already submitted their reports. The BJP had also gathered suggestions from citizens through boxes on the 300-plus video raths that crisscrossed through the country. Feedback has also been received through other means such as emails and public meeting-level consultations in all states. Earlier on Sunday, the BJP had released its theme for the upcoming Lok Sabha elections 2019- ‘Phir ek baar Modi sarkar’. Launching the theme song, Union finance minister Arun Jaitley insinuated that this election will see a contest between PM Narendra Modi against the rest. The Lok Sabha Elections 2019 are scheduled to happen in seven phases. The first phase of polling will be held on April 11, the second phase on April 18, third phase on April 23, fourth phase on April 29, fifth phase on May 6, sixth phase on May 12 and seventh phase on May 19. The counting of votes will be conducted on May 23.